Home: This is the home page of NorthwestFloridaRealEstateAgent.com. Here you can view the latest blog entry, the featured listing, and so much more. Tell a Friend: Here you can tell a friend about NorthwestFloridaRealEstateAgent.com by sending them an email through the site. Blog: This is Brandon's blog, which covers all aspects of real estate: loans, home inspections, appraisals, proposed developments, and more. CMA Submission Form: You can submit this handy CMA Form and receive a free Comparative Market Analysis of your home or property. Find out the fair market value of your home today! Community: The Community page is a guide to the entire Emerald Coast. You can view information about Okaloosa, Walton, Holmes, Santa Rosa, Escambia, Washington, Bay, and Jackson counties, plus in-depth information about cities in the area like Crestview, Fort Walton Beach, Destin, Niceville, and Pensacola. Each city's page also has helpful utility phone numbers and local attractions. Search: Here you will have instant access to the MLS to search all homes for sale on the Emerald Coast for free. Buying Info: Information pertinent to buyers, with details walking you through the buying process and home loan information. A Pre-Approved Mortgage: A great tool in helping you decide on your new home. Read about some of the benefits here. Other Information That Will Be Needed: A lender may want to see these during the preapproval process. 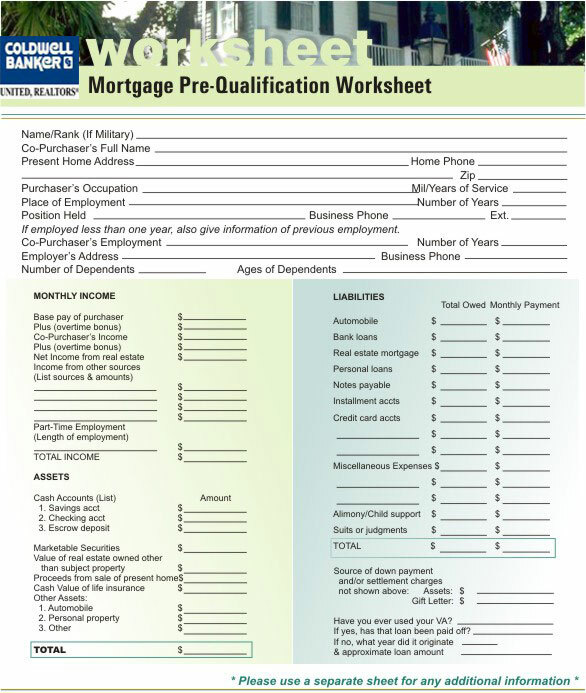 Prequalification Form: See if you pre-qualify for a mortgage. This is an image that will print full-size onto a standard 8.5 inch x 11 inch piece of paper. Offer Contract and Acceptance: Explained here. Steps of the Buying and Selling Process: Listed here in the order they usually occur. However, not all closings are the same so this process is only a general framework. Purpose and Function of Transaction Broker: Why it is the best choice when buying a home in an open market. Selling Info: Important information for sellers, including information about pricing, a step-by-step explanation of the selling process, and a checklist of small, often-overlooked features that buyers often examine carefully when considering homes. Short Sales: A real estate short sale may enable you to sell your home for less than your mortgage balance while avoiding foreclosure. Price is the Determining Factor: Some important aspects of correct pricing when selling your home or property are explored here. The Danger of Overpricing: A Realtor strives to price your home to the market so that it will sell as quickly as possible. Information recent as of 2003. Sell Your Home Fast: Why your home or property has not yet sold or may not be receiving the best possible offers. Offer Contract and Acceptance: Explained here. Pay special attention to numbers 2 and 3 of the sellers' section. Buyers Use the Internet: Most real estate buyers use the Internet a great deal during their home search, making Internet exposure for your home very important. The Sellers' Prep List: A list of problem areas potential buyers may examine carefully. Making sure these things are in proper working order brings better offers. Purpose and Function of Transaction Broker: Why it is the best choice when selling your home in an open market. REO Services: This page provides information to interested lenders, asset managers, and REO institutions about the REO services Brandon Jordan can provide to prepare, preserve, and market their foreclosed properties.